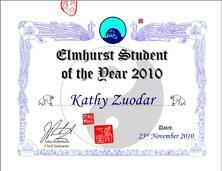 Kathy had a long career working in corporate America, mostly as a Human Resources manager, before becoming a Tai Chi instructor. She began taking Tai Chi classes hoping to combat the physical effects of stress from caring for elderly parents and working for a failing corporation, and found that the benefits far exceeded her expectations. Within a few weeks she began to notice improvements in balance, breathing and posture; greater flexibility and strength; and a reduction in the pain caused by long hours using a computer. Best of all, each class was like a mini-vacation – a time to focus only on Tai Chi and put aside the pressures and responsibilities of daily life, resulting in a quieter mind. 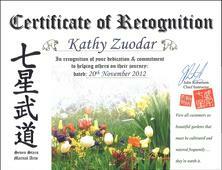 Kathy enjoyed teaching during her experience with corporate training and as a volunteer English-language tutor, so she was delighted when the opportunity to teach Tai Chi came along. She now enjoys sharing Tai Chi with students who seek to improve their health, manage stress, or simply enjoy a beautiful, relaxing form of exercise. 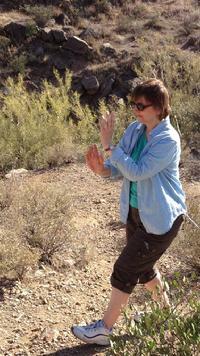 Kathy now lives and teaches in Tucson, AZ.